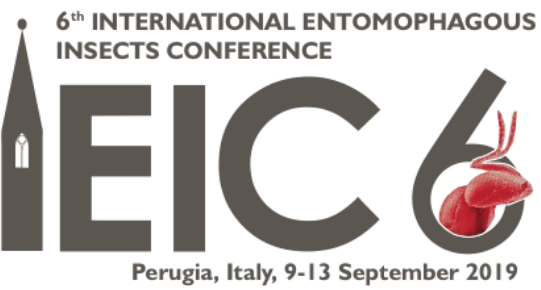 the web site of the 6th International Entomophagous Insects Conference (IEIC6), Perugia, Italy, 9-13 September 2019, is now available. Please link to www.ieic6.it for information on the Conference venue, registration fees, deadlines and preliminary program. In brief, the venue of the Conference is the ancient Monumental Complex of the San Pietro Abbey, which is the location of the DSA3 (Department of Agricultural, Food and Environmental Sciences) of the University of Perugia. The Abbey is also a stunning concentration of art and history. Guided tours in the town of Perugia and in the Umbria region, the “green heart of Italy”, will be organized for accompanying people. The registration and call for abstracts will open on 25 February 2019 and close on 5 May 2019 (early registration). The Conference early registration fee is 350 Euros, reduced to 250 for students. The fee also includes the welcome reception, coffee breaks and lunches. Looking forward to seeing you in Perugia from 9 to 13 September 2019.